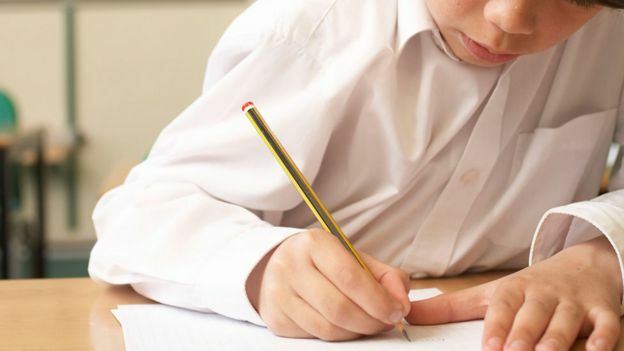 Families in affluent areas of England are much more likely to succeed in getting a school place on appeal, according to research. The Education Policy Institute has examined what happened to 86,000 families who did not get their first-choice secondary school place. About one in seven of those initially missing out go on to get a place from an appeal or joining a waiting list. Researcher Emily Hunt says this process is “reinforcing inequalities”. The study found that families in wealthier areas were twice as likely to secure a place through appeals or waiting lists than their poorer counterparts. Researchers looked at the outcomes for the 86,000 families in 2016-17 who did not get into their first-choice school – of whom 13,000 later succeeded in getting into their preferred school. They found that the process of appeals, where decisions can be challenged, and waiting lists, tended to work in favour of better-off families. Appeals can be on grounds such as claiming there has been an error in applying admissions rules, or extra evidence that should have been taken into account or particular medical or social circumstances. There were also differences between ethnic groups, with 21% of white British families who appealed getting their chosen place, compared with 10% of black families. The research found that the battle for places on appeal is almost always for high-achieving schools, graded either good or outstanding. But the study says that this second round of attempts to get a place, through appeals and waiting lists, does not seem to be a level playing-field. Report author Emily Hunt says it provides evidence of the inequality facing parents trying to get their preferred place. “This is particularly concerning, as parents use these routes to access schools with higher Ofsted ratings, and these schools also have socially advantaged intakes. Paul Whiteman, general secretary of the National Association of Head Teachers, said there needed to be a more strategic approach to providing enough school places. “For too many, there will be huge disappointment. In some parts of the country, it will mean children having to travel long distances to go to secondary school,” he said. A Department for Education spokeswoman said: “Every parent or carer who has been refused a place at a school has the right to appeal.